Located in the San Juan mountains in Southwestern Colorado (47 miles from Durango), Silverton Mountain is not a typical destination resort with groomed runs, spas, shopping and a Starbucks. Silverton Mountain is however the highest ski area in North America, the sixth largest ski area in Colorado and is a mountain dedicated to the advanced skier. 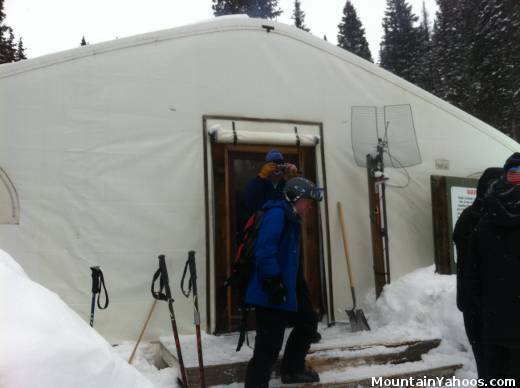 An avalanche beacon, probe and shovel are required (rentals are available at the slope-side demo center). A guide is also required and you will be skiing in groups as large as eight. The mountain amenities are sparse, so much so that there is no running water on the mountain so bring water with you. 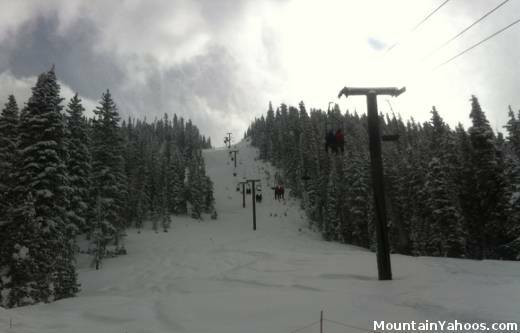 The mountain has one diesel-powered double seat chair lift it acquired used from Mammoth Mountain CA in 2002. 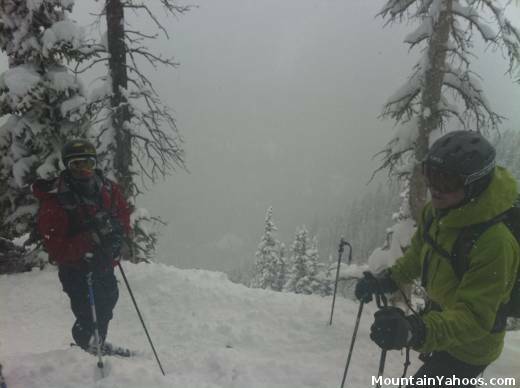 To ski the full vertical Silverton has to offer, a hike is required at the top. 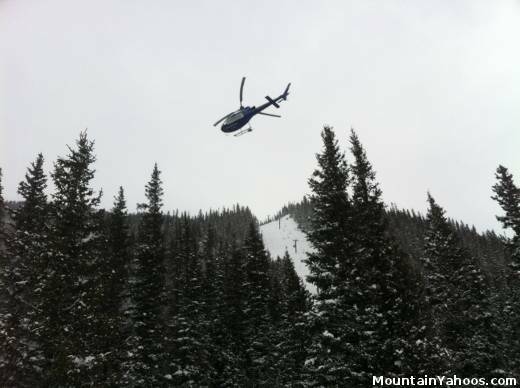 In 2009, Silverton began a helicopter service ($150.00/run) so one does not have to hike at such high elevations or re-ski tracked out terrain. Simply stated, silverton is a mountain which says "come find me". Nothing is obvious and the routes off of a single lift are endless. Bowling Alley run: top of lift (no hike required for this run) - steep and deep! Concussion Woods: small hike required, then traverse across an Avalanche face until you get into the safety of the woods. At the bottom of "Concussion Woods" you walk across a small plank over a creek and hike to the road where there was a transport van to take you back to the base. "Vodka Shots" are tight, steep and treacherous and should not be your introduction to the mountain. Work your way up to the steep stuff. It wont go away, we promise. "Gnar Couloir" and "The Next Frontier" are best accessed by helicopter (too far to hike). You must ski in a group of eight so bring seven friends or ski at the pace of the slowest skier. A guide is also required. 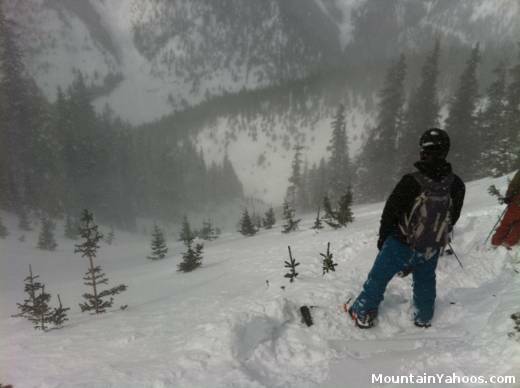 Be patient after a dump of powder as it takes a while for the ski patrol to perform a stability assessment or perform avalanche blasting. 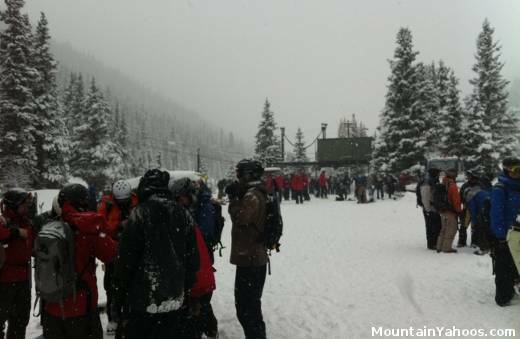 There are typically not enough skier traffic to form moguls. Your best hope is under the lift. Try "Twig Snappers" or "Bowling Alley" for what seems like endless tree skiing. Tree skiing is more common after a fresh dump as the powder helps control your speed. The easiest run is 30 to 35 degrees of incline with no run officially marked as beginner or intermediate. 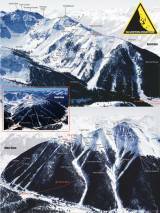 This mountain is NOT for beginner or intermediate skiers. 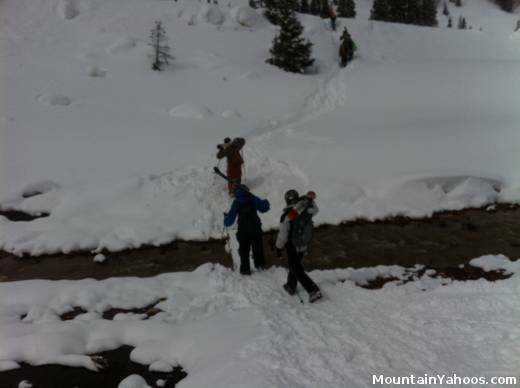 Silverton Mountain does not have a designated terrain park but it certainly has lots of terrain and natural features. There are three mountain bars including the infamous Grady's. 1067 Blaire Street. Pizza and organic salads. This is the only premium dining facility in the area. While there is the town of Silverton with basic amenities, there is little at the mountain base. Any available shopping is in town. The base "lodge" of Silverton and the only building on the mountain. Although limited, all nightlife is in the town of Silverton. Try Grady's. Drive through the town via Greene Street. Durango airport followed by a 52 mile drive to Silverton. Montrose airport followed by a 50 mile drive to Silverton. Telluride airport followed by a 110 mile drive to Silverton. Grand Junction airport followed by a 100 mile drive to Silverton. Denver airport followed by a 359 mile drive to Silverton. There are no accommodations at the base of the mountain. 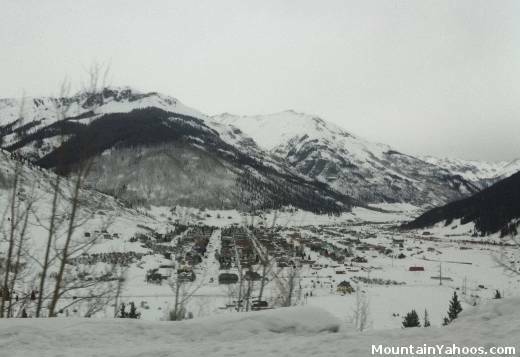 All lodging is in the town of Silverton.